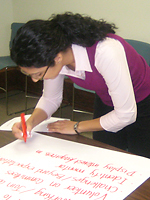 As Millennium Momentum Foundation, Inc. continues to deliver the blueprint to educating and professionally developing aspiring young leaders seeking to enter public service careers, the organization takes pride in its alum that have transitioned successfully into the workforce and reinvesting their training in their diverse communities. Whether its delivering essential services in local government or nonprofit administration, or serving as distinguished political aides and corporate public affairs managers, our alum truly reflect the impact that a quality college education, mentoring, and leadership development training has in the lives of our nation's young people. Nestor, a Best & Brightest Scholar, recently graduated from the MMF Leadership Development Institute and represented MMF at the White House as a White House Young America Series Delegate. 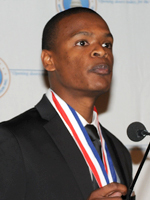 He has since then graduated from Loyola Marymount University with honors. 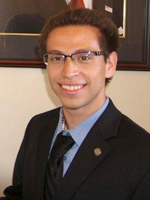 As of March 2013, we were notified that Nestor has been accepted into Harvard University Divinity School, whereby he will be pursuing graduate study in the Fall 2013. Alain, a Best & Brightest Scholar, recently graduated from the MMF Leadership Development Institute and has recently graduated from Biola University. Alain has been accepted into Pepperdine University where he is currently pursuing graduate study in Public Policy. Alain secured a prestigious Congressional internship in Washington D.C during the summer of 2013. Laura, a Best & Brightest Scholar and MMF Leadership Development Institute Alum, is currently serving as Vice President of Community Affairs for Bank of the West in San Francisco, California. Laura had successfully graduated from the University of Southern California (USC), where she was enrolled in the School of Public Policy. Elizabeth Garcia is a graduate of Pepperdine University where she earned a Master's Degree in Public Policy. 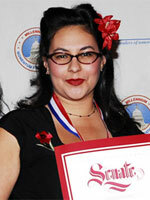 She is currently serving as Field Representative for Assemblymember Anthony Portantino. Ms. Garcia has experience in both the public sector and the private sector, having worked for Mayor Antonio Villaraigosa under his education team and for Cerrell Associates, Inc. Ms. Garcia represents the Assemblymember in the Northeast Los Angeles portion of the district, which includes the communities of Eagle Rock, Highland Park and Glassell Park. 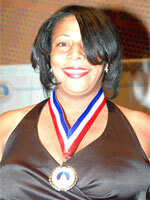 Deidre Knighten is a graduate student now in Cal State Dominguez Hills in the Master of Public Administration Program. The U.S. Department of Veteran Affairs provides numerous supportive services and opportunities for veterans and their families. Ms. Knighten has not only secured employment, but is on the fast track to promotion and making a major difference with the department. "I accomplished this because I was introduced to the mentoring program through the MMF scholarship. 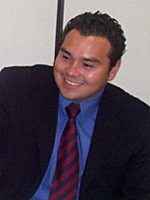 Hugo Salazar has graduated from the University of California at Irvine with a Bachelor of Political Science and International Studies. He is currently working as a community organizer for Environmental Health Coalition, whereby he is in charge of organizing the local community to promote land use issues and social justice. Environmental Health Coalition is a San Diego based nonprofit organization that is dedicated to achieving environmental and social justice to protect public health. 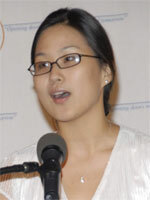 Kaitlyn Lim graduated from UCLA in September 2006 with Bachelors of Arts in Political Science and International Development Studies. In partnership with Karen Chan, the Programs Coordinator, Ms. Lim launched Polaris Project Los Angeles in February 2006, and has focused on victim services and protection, community outreach, grassroots mobilization, and leadership development through internship opportunities. Polaris Project, Los Angeles has outreached to over 175 potential victims of trafficking and provided social service assistance to 10 survivors of trafficking through case management, legal advocacy for immigration and protection, court accompaniment, translation and interpretation, and social service referrals. They have also trained over 13 community-based organizations and the Los Angeles Police Department on human trafficking and sit on the Los Angeles Metropolitan Task Force on Human Trafficking and the Los Angeles County Unity Coalition. In order to grow the capacity of Polaris Project Los Angeles, they are holding their 1st Annual Benefit Dinner: Imagine Freedom on Friday, May 9th, 2008 at the Sheraton Delfina in Santa Monica. Dr. Merrill Irving Jr. is the Chairperson of Community Education at Wolfson Campus of Miami Dade College in Miami, FL. Dr. Irving assumes management responsibilities for the programmatic and budgetary facilitation of five different departments which include: Continuing Workforce Education, Adult Basic Education, GED, Recreation and the Language Center. Dr. Irving comes to Miami Dade College with 8 years experience managing United States Department of Labor, County of Los Angeles Workforce Investment Act & Mental Health contracts. Dr. Irving is a Charleston, West Virginia native who holds a Bachelor of Arts in Political Science & History with a Master of Public Administration from West Virginia University. 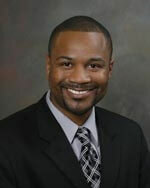 Dr. Irving received his Doctorate in Educational Psychology from the University of Southern California.